The fancy bag has two different fabric types, usually a dark base with a fancy fabric top. 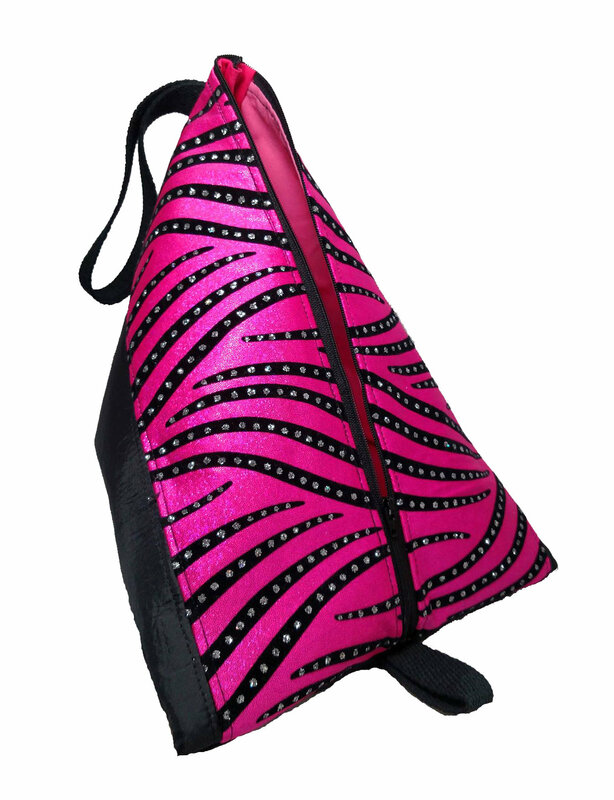 Bag shown with black bottom and hot pink Aerial Flip top, hot pink interior. Check our fabric swatches for options - click here. Great for transporting cheer shoes and other stuff like shoe covers, cell phone and etc. at practice.